I love someone has converted my current favorite song, Too Many Cooks to 8-bit! Apparently I’m alone in the love I have for this whole Too Many Cooks thing and I enjoy driving people crazy!! This entry was posted in Entertainment, Web Related on November 11, 2014 by clubjosh. The Perfume concert with Daniel on Sunday was a pretty great show. Of all of Daniel’s eclectic mix of music he enjoys, I have to say I enjoy them the best. My favorite song is 2012’s Spending All My Time and I am glad that it was played during the concert. One of the requests from the band was that we don’t reveal details of the show until the final performance of the World Tour on Saturday in New York. Keeping that in mind, all I will say is that I have new found respect for the singers Kashiyuka, A-Chan, and Nocchi as they really made a connection with the audience. I really grew attached to A-Chan as I fell for her emotional appreciation of the audience asking for an encore. This entry was posted in Entertainment on November 10, 2014 by clubjosh. I can’t tell you how many times I’ve already watched this video since I saw it early this AM. Just want to leave it here for me to re-discover years later. I hope you watch!! This entry was posted in Entertainment, Web Related on November 7, 2014 by clubjosh. The Love Boat crew re-united in Florida yesterday for the christening of the new Regal Princess and part of the festivities was a Gold Carpet walk for the 50th anniversary of Princess Cruise lines. One photo that was in People Magazine is my everything. 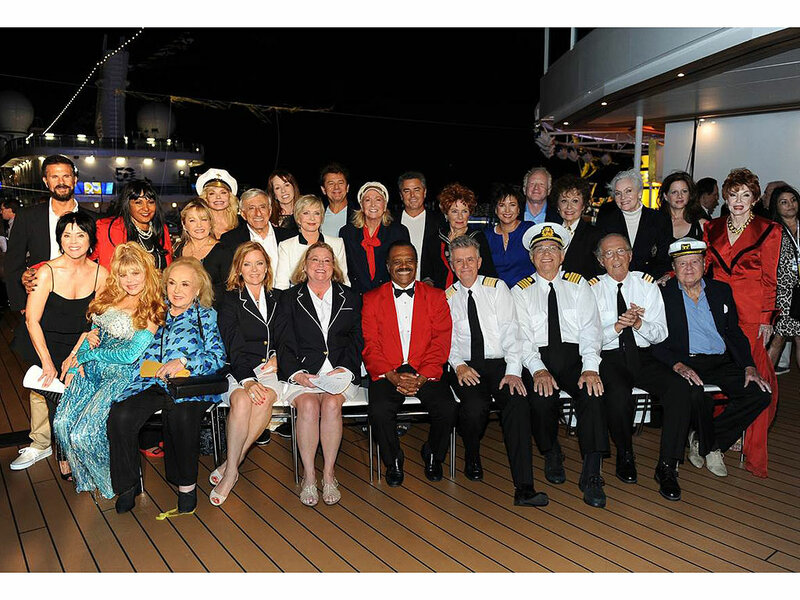 It features all of the original cast of the Love Boat with a bunch of celebs that were on the show including Charo!! This entry was posted in Celebrity, Entertainment on November 6, 2014 by clubjosh. Last night’s Doctor Who was pretty awesome in an awesome season. It’s interesting to me how people have reacted to the big reveal of Missy’s true origins (no spoilers here). I can’t believe that people who have watched a show over 50 years about a character who changes everything about them get shocked and/or dismayed over this particular plot twist. I guess we still have a long way to go for gender equality. Part of me thinks that this is why being Transgender is one of the most difficult things a person can be. You not only get the stigma of being “gay” since people don’t really get what transgender is, but you also get all of the gender bashing that happens on top of it. I think people’s reaction to the episode is symptomatic of the greater population as a whole and how far we still need to go to get to the point where the only thing that matters is you – not who you sleep with or what gender you are or what clothes you wear or how thin you are or if you have a messed up toe. The only thing that matters is you as a person. Period. Everything else does not matter. People need to accept people for who they are. This entry was posted in Entertainment on November 2, 2014 by clubjosh. I love me a good Airline Safety video, and lately Air New Zealand has really had the best ones. THis one with Sylvester McCoy, the Seventh Doctor, Peter Jackson, and Elijah Wood is fun to watch.. This entry was posted in Entertainment on October 22, 2014 by clubjosh. Some Sunday Funday entertainment: A couple of my favorite Family Fued Clips..
For more fun visit the Stupid Game Show Answers You Tube page.. This entry was posted in Entertainment on October 19, 2014 by clubjosh. Congratulations to the San Francisco Giants heading to their third World Series in 5 years. It was 25 years ago tomorrow that the Giants and I had our run in with the Loma Prieta Quake together and I’m glad to see they are a bit more successful now vs then. I wonder if there was any sort of remembrance before the game today? This is part 4 of Earthquake Week at Club Josh for the 25th Anniversary of the Loma Prieta Quake on 10/17/1989. This entry was posted in Entertainment on October 16, 2014 by clubjosh. A great review of a modified 1986 Pontiac Firebird made to look like KITT from Knight Rider – one of my all time favorites. Check out more from theAFICIONAUTO or visit David Hasselhoff’s web site. This entry was posted in Automotive, Entertainment on October 10, 2014 by clubjosh.